Waterway transportation emits three times less C02 than road transport. 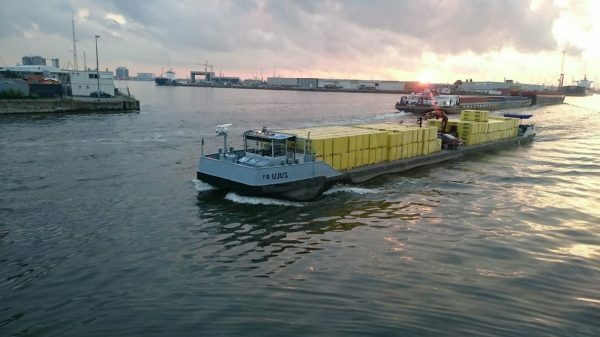 Transport by barge is predominantly used for big-volumes, as a barge replace a lot of trucks. ST4W aims to convince shippers shipping palletized freight to ship road freight by water. These flows are often small and highly diversified volumes, loaded, transported and delivered mainly by SMEs, with complex distribution schemes. Pallet flows, loaded directly in barges or bundled in containers, need to be consolidated for shipment by water. Effective logistics engineering is essential to ensure cargo consolidation, requiring an accurate synchronisation between operators and a collaborative approach demanding organisational and behavioural change from logistics professionals. 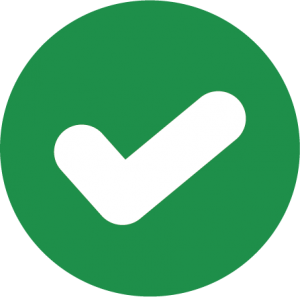 Efficient, simple and low-cost communications tools, using worldwide standards are indispensable. At present, there are no dedicated tools for waterway transportation, and maritime systems are too expensive for SMEs. This is a critical issue, especially as 85 % of European river freight is concentrated in NWE territory. 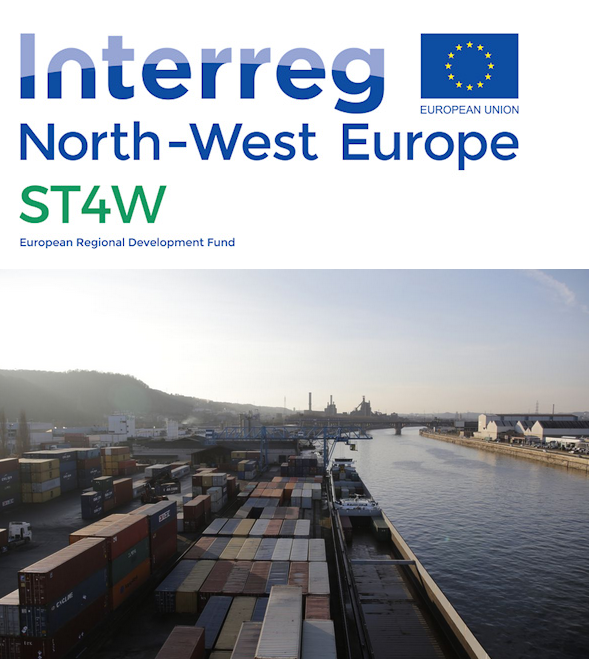 Consequently ST4W proposes a management solution for shipment by inland waterway transport, providing to small stakeholders a simpler and cheaper access to secure data, and enabling them to share a hierarchical track & trace service of shipment, complementing the River Information Services, which localizes vessels. These tools will be tested, validated and rolled out during the project with the support of various partners (shippers, logistics operators, ship owners, ports and terminals, waterway administrations). A sustainable and closer cooperation between waterway actors and their supply chain partners will enable more clients to make use of waterway transportation (from mental shift to modal shift), and consequently to reduce CO2 emissions of their logistics operations: We forecast a modal transfer of 600 millions t.km from road to waterway, namely 40 000 T of CO2 saved by the tenth year after the project. Hierarchical Track & Trace service of shipment complementing the River Information Services, which localizes vessels. These tools will be tested, validated and rolled out during the project with the support of various partners (shippers, logistics operators, ship owners, ports and terminals, waterway administrations).